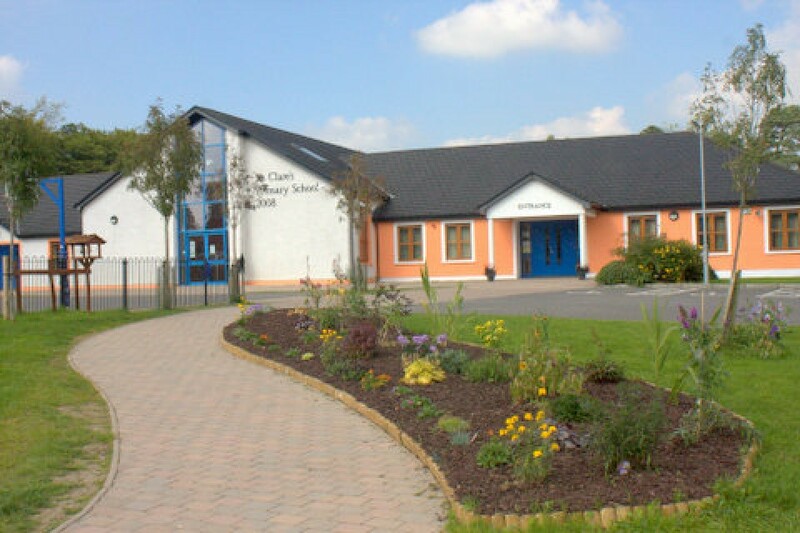 A warm St. Clare’s welcome to all our newcomer pupils this year! In the final days of August, our school extended a warm St. Clare’s welcome to seventy new pupils from junior infants to sixth class. Among our new pupils this year are thirty-three newcomer children from a diversity of international backgrounds including Poland, Latvia, Spain, Lithuania, Romania, Bulgaria, Italy, Moldova, Brazil, Botswana, Nigeria and China. With our pupil population now hailing from not alone these countries but Thailand, Afghanistan, Portugal, South Africa, Belarus, The Philippines, Pakistan, Malta, the Ukraine and the United Kingdom, St. Clare’s really is a multicultural, multi-lingual, diverse and inclusive school! While many of our international pupils are now fluent English speakers, some of our newer pupils will attend English language classes which, this year, will be taken by Ms. Cunningham and Mr. Crudden. See pictures of our two groups of English Language class pupils below! We have been learning all about Travel and Transport in English Language Class during the month of January. When we had learned lots of new words for different forms of transport, we went outside to do a transport audit and observe the various types of transport passing our school one Monday morning. We recorded, analysed and presented our results and were delighted to see such a variety of vehicles travelling through Ballyjamesduff. It was a fun activity! Our SET teachers have been very busy and have gotten off the year to a brilliant start with maths stations in 2nd class and English stations in 6th class, for this term. All the children are loving the variety of the stations and have been making great progress with their English and maths skills. Checkout some of the work that has been done in the maths stations below. First class have been involved with stations in Literacy, with Lift off to Literacy kicking off before Christmas in both classes. The children loved getting a new book to read each day and loved participating in the daily writing and word word activities. All the teachers involved were very impressed with the progress all the boys and girls have made since starting Lift Off. Lift Off to Literacy has now moved to Senior Infants. Ms Mc Govern is doing Reading Recovery again this year, with four pupils from First class. The children doing Reading Recovery go out every day for 30 minute lessons where they do letter work, write a short story and read a new book and some familiar books each day. The children have been working so hard for this term and our making great progress so far. During well- being week, all the pupils in St. Clare’s engaged in mindfulness sessions each morning, mindfulness exercises were broadcasted through the intercom each day. One child who goes out to Ms Mc Kelvey’s room really enjoyed the Mindfulness sessions and wrote about it in her writing activity. Check out her story on mindfulness below. Ms Mc Kay’s Student had a hot chocolate party as a reward for all their hard work in the SET room. Here are a group from 6th class working on some maths problems! 6th class have maths stations every Monday, Wednesday and Friday. Ms. McKenna and Ms. McKay help out and everyone works in small groups on various maths topics! We had lots of news to share in our Reading Recovery lessons. Check out some of our written activities below! !